ola riders! Estamos começando os reviews do mais novo set especial chamado Cybernetic Horizon ! estamos analisando nessa semana as cartas de suporte pro arquétipo CYBER !!! LETS GO! É uma raça de LIGHT atribute MACHINE type monstros. O prototipo ou primeiro cyber dragon nasceu na era GX no booster cybernetic revolution quase 15 anos atras. Inicialmente este arquetpo era baseado em fusion mechanics. Posteriormente ganharam xyz monstros e agora o primeiro link monstro. 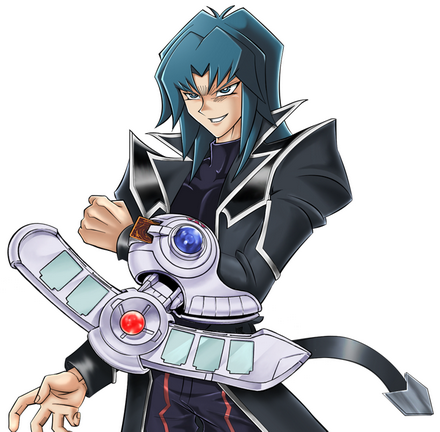 Zane Truesdale, conhecido no Japão como Ryo Marufuji e apelidado de "Kaiser Ryo", é o top Duelist de Duel Academy quando Jaden está em seu primeiro ano. Zane serve como um dos rivais amigáveis de Jaden durante esse ano, embora ele tem uma abordagem mais brutal para duelo depois de experimentar uma transformação mental durante o próximo ano. Nos anos seguintes, ele desenvolve problemas cardíacos fatais e procura um adversário digno o suficiente para dar-lhe o seu duelo final antes de ele expirar, embora ele seja mais tarde revivido em circunstâncias inexplicáveis durante a quarta temporada. You can only use this card name’s (2) effect once per turn. (1) This card’s name is treated as “Cyber Dragon” while it is on the field or in the GY. (2) If you Normal/Special Summon “Cyber Dragon”: You can Special Summon this card from your hand in Defense Position. 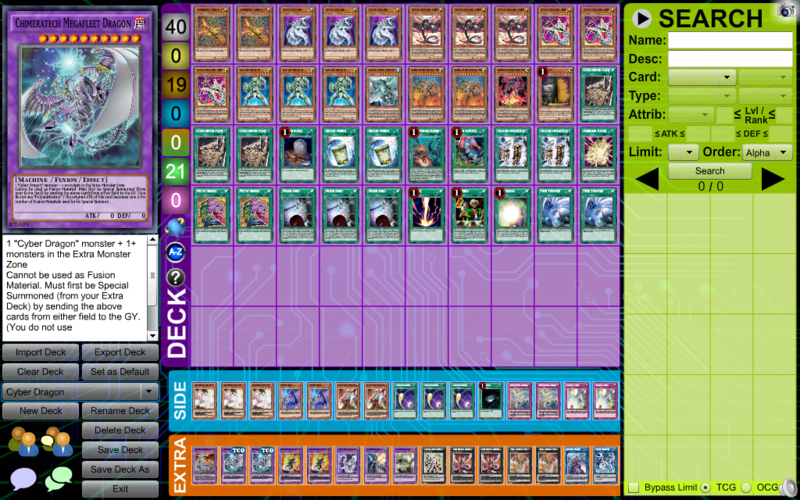 (3) All “Cyber Dragon” you control gain 500 ATK/DEF. comentários: Efeito de clonagem de nome (é tratado como cyber dragon em campo e no cemiterio). efeito de auto-summon quando outro cyber dragon é invocado. efeito e boost. Embora ele não ajuste o level (logo naum da pra fazer infinity), fica mais fácil invocar o link cyber. You can only use 1 of the (2) and (3) effects of this cards name per turn, and only once that turn. (1) This card’s name is treated as “Cyber Dragon” while it is on the field or in the GY. (2) If this card is Special Summoned: You can activate this effect; this card’s Level becomes 5 until the end of this turn, also you cannot Special Summon monsters for the rest of this turn, except Machine monsters. (3) If this card is sent to the GY; You can add 1 other “Cyber Dragon” from your Deck or GY to your hand. comentários: monster reborn do tema cyber dragon; tem o twist de tornar o monstro invocado imune a efeitos. You can only use the (1)st and (2)nd effects of “Cybernetic Overflow” once per turn, each. (1) Banish any number of “Cyber Dragon(s)” with different Levels that are in your hand, in your GY, and/or face-up on your field, then destroy that many cards your opponent controls. (2) If this card on the field is destroyed by a card effect: You can activate this effect; add 1 “Cyber” Spell/Trap Card from your Deck to your hand. Cyber Dragon Ziegler (YgoPro) - Cyber Dragon DECK 2018!